The premises formerly known as Brown the Butchers takes a new identity. 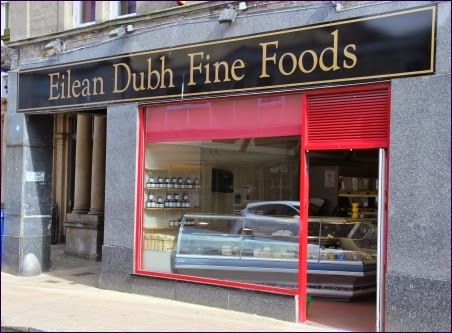 'Black isle' foods on the High St. I wonder if they're linked to the restaurant of that name at Fortrose? Is that a comma in the middle of the sign or have the seagulls hit it already ? They will be selling their fabulous smoked cheeses and salmon. I usually buy it when they are at the farmers' markets. Great to have them so close. Please tell me I can still buy the best steak pies in the world, that Browns used to make. No more delicious steak pies or venison rounds. The other butchers' steak pies come nowhere close.